OMAS had recently shuttered its doors for good this past February 2016. It prompted a whole flurry of OMAS fountain pens buying both in the local and international fountain pen community. 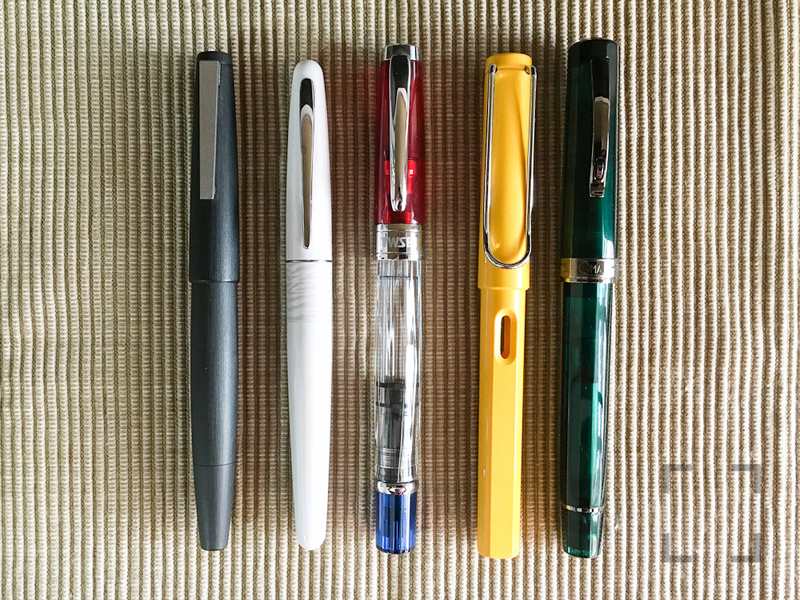 I was among one of those who jumped at the chance to get an OMAS before they are all gone for good. I was initially interested to get an OMAS Noir in the Milord size but later changed my mind because they looked a little too ostentatious for my taste. I was lucky enough to snag this beauty of a fountain pen from Fook Hing Trading, a local brick and mortar store. 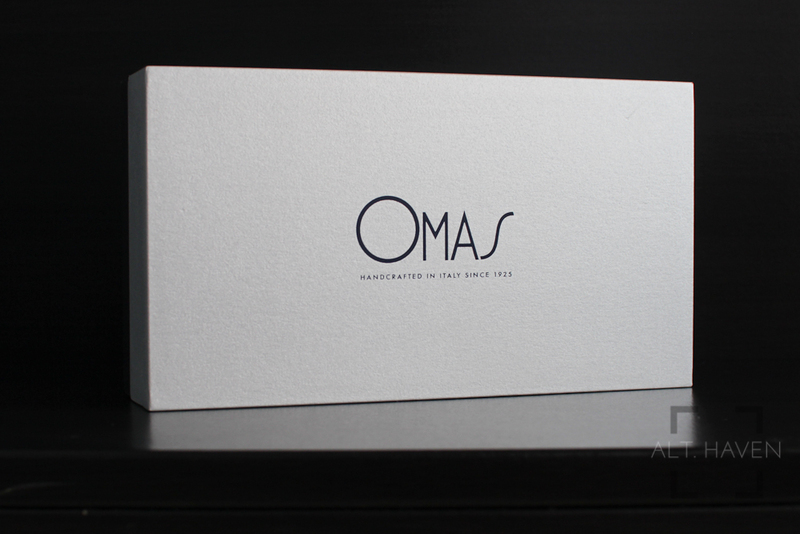 I really love OMAS’ packaging. 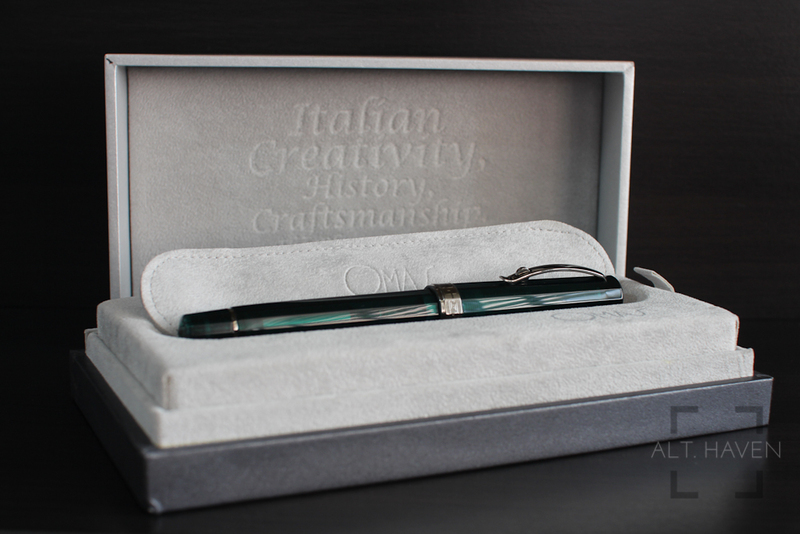 The box comes wrapped in a silver cardboard box with the words “Art Arte Italiana” and the OMAS logo printed on it. Once you remove that cardboard box, you will find a heavy duty box. The top is silver while the bottom half dark grey. The top pulls open easily and you will find the pen and a single pen sleeve lying on a depression that fits the pen. 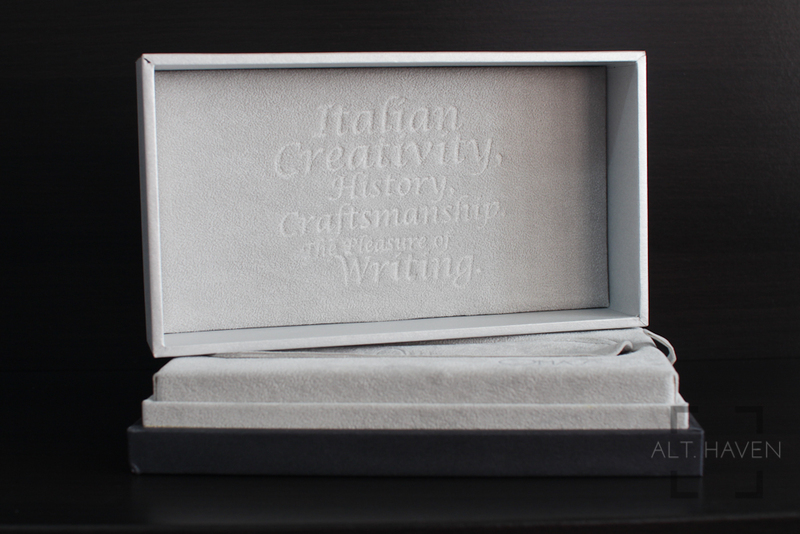 In the inner side of the box cover are the words “Italian Creativity, History, Craftmanship. The Pleasure of Writing” If you lift the bed which the pen was lying on and flip it around, you will find it has two similar depressions. This pen bed can easily double up as a 2-pen pen tray. The entire box feels very solid and of premium quality. OMAS pens usually comes in 2 sizes, namely the Paragon and the Milord. Overall the years, the size of the Milord and Paragon has changed and evolved so a Milord sized OMAS fountain pen made in the older days would be smaller than a modern Milord sized OMAS fountain pen now. The OMAS Arte Italiana Art is a fountain pen that comes in the modern Milord size. It’s the tallest pen I have in my collection. It’s a hair taller than my TWSBI Diamond 580. The OMAS Arte Italiana Art is a piston filler made of translucent dark green cotton resin paired with ruthenium finish. Check out this link from Goulet Pens to find out more about cotton resin. It is a dodecagonal (12 sided) faceted pen and centre band. The fountain pen comes to a rounded point at both ends of the pen, a little like the Nakaya Piccolo. 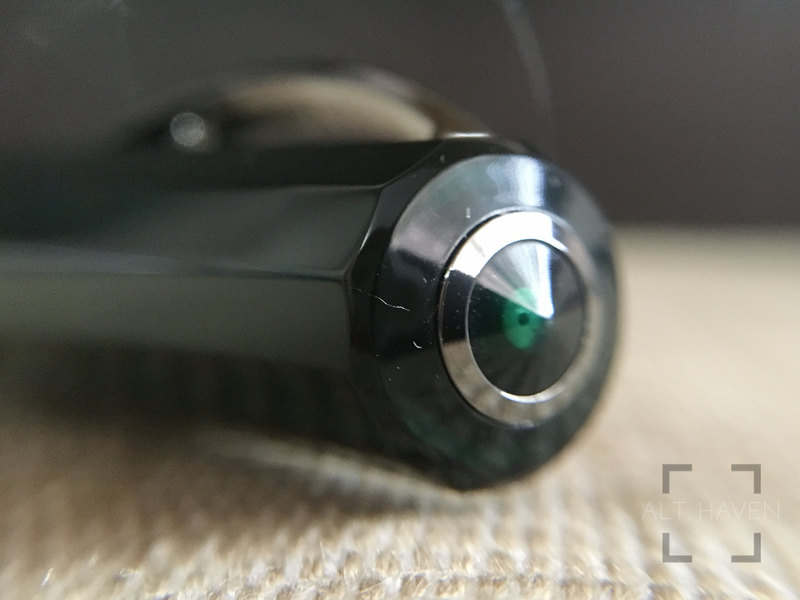 The ruthenium finish for its clip, centre band, piston knob band, grip and finial blends well against the dark green of the pen. This is an understated but at the same time impressive looking fountain pen. It is subdued and secure in its superiority. Overall, I found the pen a little front heavy because of the metal grip section. Though the pen can be posted, I would recommend against doing so if you have small hands. You would end up with a fountain pen ridiculously long. The clip has OMAS’ signature wheel. The clip slides smoothly over most notebooks I tried it on. However this works best on items that are not too thick. The centre band is also 12 sided like the cap and barrel. It is decorated with art deco like motifs all around the centre band. The cap is topped with OMAS’ ring, finished with ruthenium of course. The cap unscrews in one and a quarter revolutions. Underneath, you will see the metal grip section. The metal grip is long and it tapers slightly towards the nib and ends with a 12 sided lip before it reached the 18K nib. The threads are smooth to the touch. I found the grip section a finger print magnet. It is also slippery. I found myself rolling the nib as a result of the slipperiness. After 2 months of use, the slippery grip is really quite a deal breaker for me. I have learnt to write higher up the grip section, using of the thread as a sort of grip on the pen itself. It works but definitely not an ideal situation. 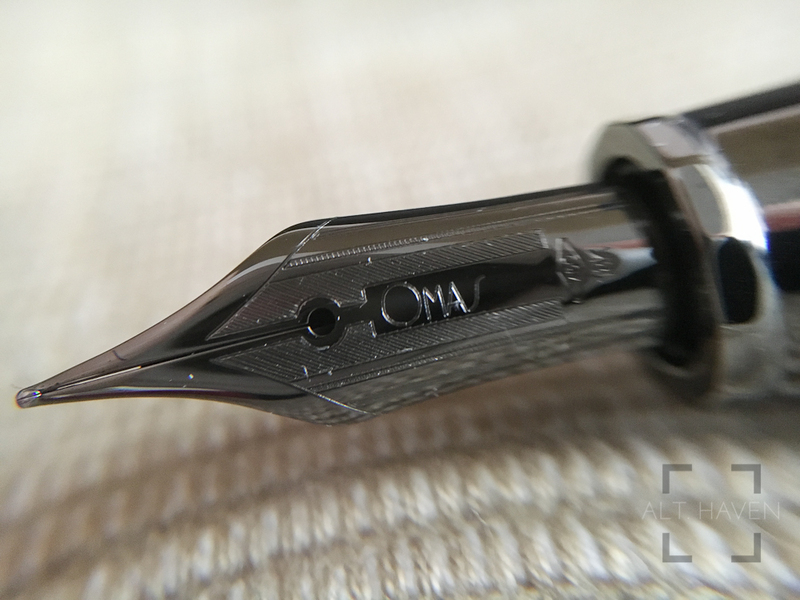 The OMAS Arte Italiana Art is a piston filler. The piston mechanism works smoothly like a well oiled machine. The ink capacity in the pen is quite decent. However you would need very single drop of ink in this pen when paired with the juicy and wet 18K F nib. 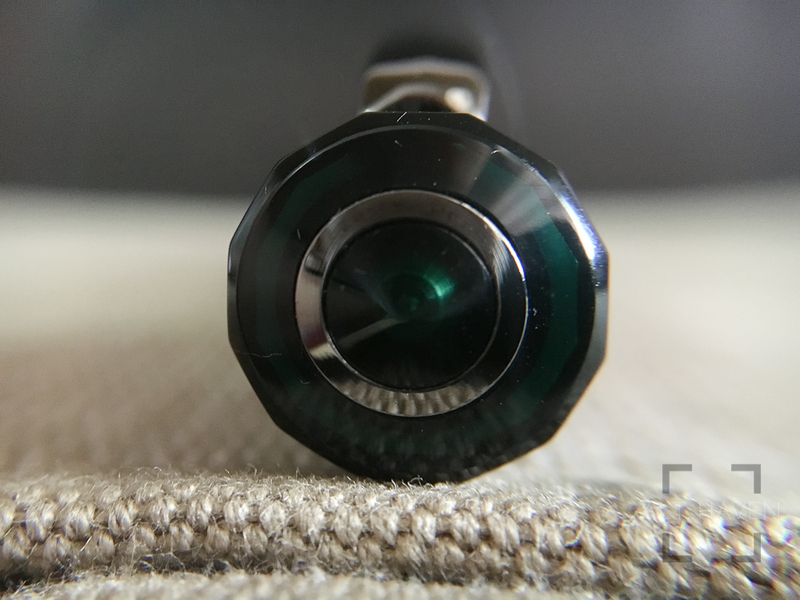 OMAS fountain pens comes with an ebonite feed. Ebonite feeds in general has better capillary action so this results in a wetter ink flow for the pen. The nib that comes with the OMAS Arte Italiana Art writes smoothly but it is totally a gusher. 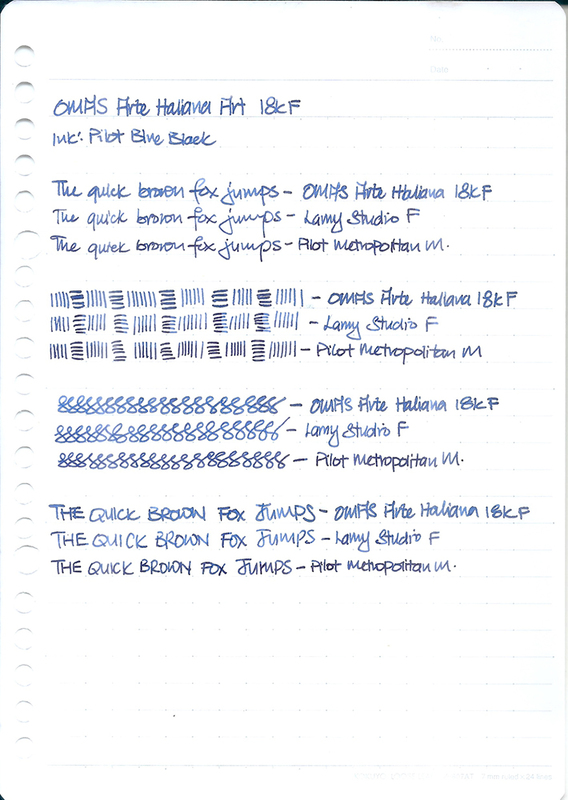 It went through the entire fill of ink more quickly than I thought was possible. Pairing the OMAS Arte Italiana Art with anything but a dry ink like the Graf von Faber-Castell Stone Grey would render the pen nigh impossible to use, especially for a lefty. I even found it too wet when paired with a dry ink. The OMAS Arte Italiana Art is a good representation of the fountain pens OMAS made. In general, I found the pen enjoyable but not an everyday pen for me because of slippery grip and the wet writing experience. I can fix the latter with an expanded collection of dry inks but the former required me to re-train my hand to handle the slippery grip. Thought OMAS has closed its business, people would remember the pens they have left behind. RIP OMAS.